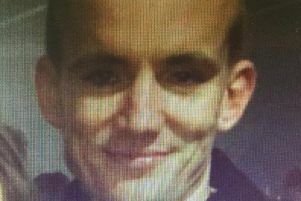 A Co Down window cleaner awaiting trial for murder has been granted compassionate bail to attend a relative’s funeral despite prosecution objections that he may abscond. Richard Hugh Jackie Dalzell, 36 and of Whinpark Road, Newtownards, is accused of murdering Mark Anthony Lamont in Coleraine last autumn and intimidating a witness. The neighbours told police that Mr Lamont was “on the ground and the defendant repeatedly jumping up and down on the deceased’s head”. It was claimed Dalzell got into his car and “drove around the block and as he passed witnesses at the scene shouted out of the window: ‘I’m in the UDA. You saw nothing’”. Mr Lamont was taken to hospital but died on October 11, 2016 from his injuries. Dalzell, who appeared by video link from Maghaberry prison, applied to be released on compassionate bail to attend the funeral on Monday, December 4, of his uncle’s partner Patricia Mary Connor. At Belfast Crown Court on Friday, prosecution counsel Michael Chambers told Mr Justice Colton that on six previous occasions Dalzell had broken his bail conditions. “In June of this year, he was at large for a week,” he said. Defence barrister Mark Farrell said in September Dalzell had been granted a compassionate bail application in Septmber and he had “abided by all the conditions imposed” to attend a family funeral and had returned to jail earlier than the court had stipulated. Mr Farrell said that a cash surety of £1,000 was available and Dalzell’s sister Sarah was also willing to act as a further surety and would drive her brother to and from the prison to the attend the funeral. Mr Justice Colton said he would granted the application but ruled that a further surety of £250 be lodged, that Dalzell was not to consume drugs or alcohol and was only allowed to be in his sister’s car during his release.